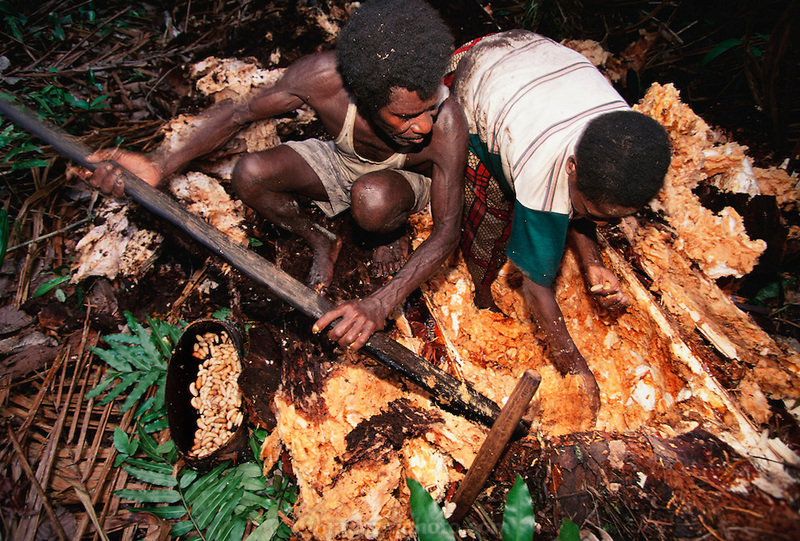 Villagers in the Asmat extract sago grubs from a rotted sago palm log. Sago grubs (Rhynchophorus ferrugineus, the larvae of Capricorn beetles), are extracted from the interior of a sago palm, Komor village, Irian Jaya, Indonesia. The Asmat is the world's largest (and hottest), swamp. When roasted on a spit, they are fatty and bacon-flavored, although the skins are rather chewy. Image from the book project Man Eating Bugs: The Art and Science of Eating Insects.